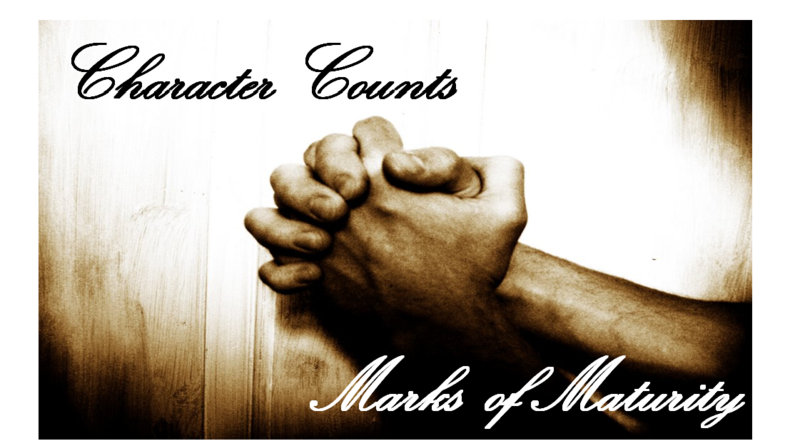 We had another great service on Sunday as we continued our series on Character Counts. The message on Sunday was a continuation of the Marks of Maturity message from last week; we will start with a review. Come to the lord ready to receive what He gives you. If you have ever told a lie you understand trying to keep the story straight, it entangles you and tries to pull you down. GOD SAYS MATURITY IS ATTITUDE! WHO YOU ARE! 2. A MATURE CHRISTIAN IS SENSITIVE TO PEOPLE. A mature Christian is sensitive to people’s needs even if they don’t agree with them. We are here to reach out to people and to love them. We struggle because we covet but God has something special for you, just hang on. Are you positive under pressure? Are you sensitive to people? Have you mastered your mouth? Are you a peacemaker or a troublemaker? Are you patient and prayerful? The book of James id a book that clearly states if He lives inside He will be seen on the outside.